MOTIVATED SELLER!!! Builders Dream! 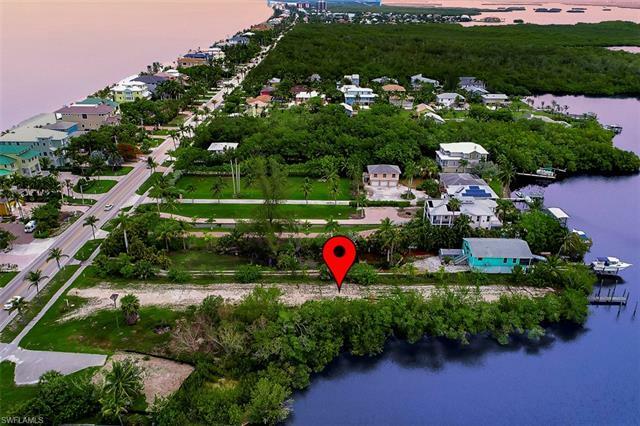 This bay front property is located on Hickory Blvd across the street from Bonita Beach with rear Eastern views of the Estero Bay and mangrove estuary. Resident Osprey provide entertainment for the western view and a future home may have sneak peaks of gulf depending upon the final elevation built. There is an existing boat dock in place. This lot has already been cleared and the grade has already been raised with extensive amounts of fill. Build your dream beach house without HOA fees. This property offers close proximity to Bonita Beach, Doc’s Beach House Restaurant and other great Beach Access points. Dog Beach and Lover’s Key are only a few miles north. This lot is approximately .32 acres in size and zoned for a single family usage.